Sometimes an image will surprise you in small but delightful ways. Sometimes it will be the inclusion of an unnoticed detail in a corner of the image that adds interest to the eye. When shooting on the water, it can be a feature under the surface, unseen through the viewfinder, but revealed courtesy of the polarizing filter you thoughtfully placed on the lens. In my case recently, it was blue light. I was camping with my daughter Brigid, a sort of last attempt to bond before she escapes to college life. 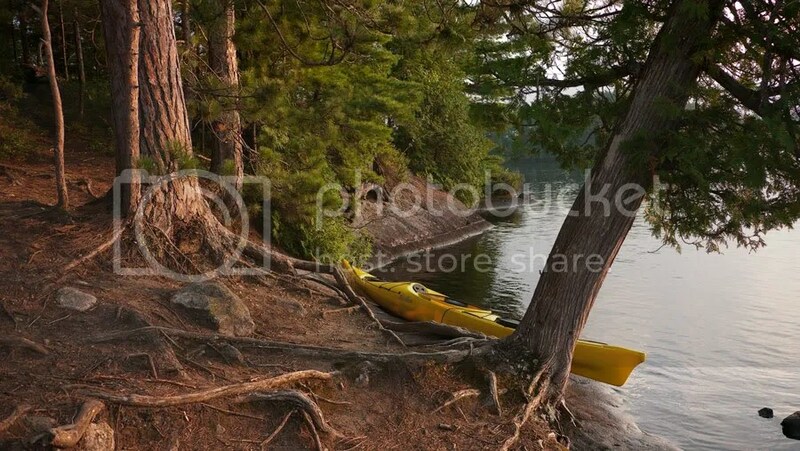 We paddled our kayaks to an island in the Saranac Lake chain of upstate New York. Truth be told, she wasn’t real happy about this. 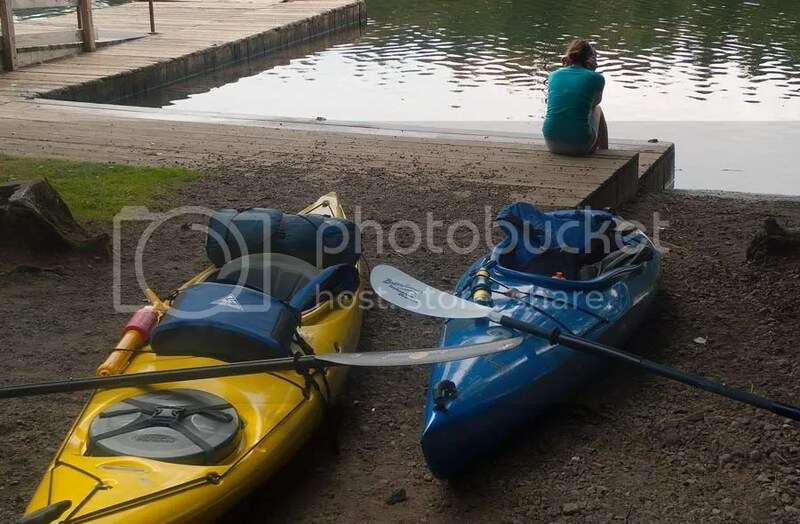 Her brother escaped “dad duty” as he had brought two friends with him on our trip up north, and there weren’t enough kayaks. His time will come. I was going one way or another, and I’d like to think if anything, Brigid went to make sure that I didn’t capsize and drown. This particular trip is lovely. You “put in” at a state sponsored site on the Saranac River and paddle through a series of ”ponds” prior to emerging into the vast waters of Lower Saranac lake. 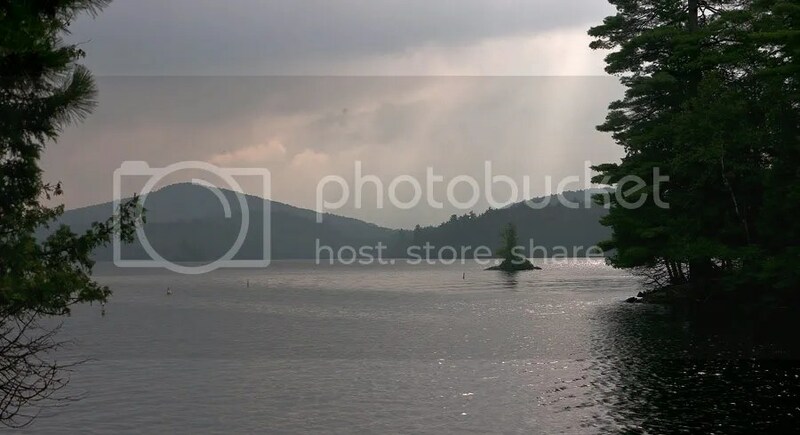 This is a large convoluted body of water, connected to the Middle Saranac Lake again by the Saranac River which reappears at the southwestern end of the lake. Multiple islands erupt from the lake floor. They vary in size from single rocks harboring a small pad of soil and a few conifers, to multiple acre-sized landforms covered in White Pine and northern hardwoods. This makes Lower Saranac a pleasant, visually interesting, largely sheltered place to paddle, though we did encounter fairly fresh winds and chop over the open sections we had to traverse. As they were loaded with gear, the ‘yaks rode lower in the water than usual, and it was somewhat difficult to “beach” them on the steep and slippery gneiss shoreline on the island we had chosen. Once secured, we unloaded and set up camp. Each site has a concrete fireplace, correctly designed to provide reflected heat for the cool Adirondack nights (thirty to forty degree nights would not be uncommon). I removed my Panasonic GH1 and two lenses from the dry bag where they resided for the trip over and waited for the light to get interesting. I had thought about taking some video, especially if the lake’s loons cooperated by calling prominently, but they were quiet that night. A few of their mournful cries were audible, but only in the distance. We contented ourselves with the warbling of wood thrushes, the chittering of the islands sole red squirel, and the occasional sound of passing powerboat. Periodically, dark clouds appeared, threatening rain. Happily it held off until much later, when we were finally zipped into the tent for the night. At dusk, the temperature dropped and fire seemed like a nice idea. I gathered wood and using the bark from a birch log we found already at the site, started one fairly easily. I spent a lot of time in the hour around sunset, shooting from various vantage points before returning to the campsite for good. There, Brigid and I sat around the fire as the light faded. The glow of the fireplace was evocative. I had no tripod on the trip ( yes, I know, big faux pas) so I was forced to set the camera at ISO 1600 (not the GH1’s best strength) to get reasonable shutter speeds. I asked Brigid to stay very still, and shot several frames with her in the foreground, counting on the image stabilization to keep things sharp. It was important to if anything, over-expose a bit (with a fire as the bright point it doesn’t matter so much), to avoid shadow noise. I looked at the image on the LCD in camp, it looked OK, and I put the equipment away for the night. I shot a few more images in the morning before we left the next morning but the sky was cloudy and the light mostly unremarkable. Still… there were moments. When I got back to my computer and was able to view the images in Photoshop, I noticed something I hadn’t seen in camp. In sharp contrast to reds and oranges of the firelight, was a soft blue glow evident through the trees at the shoreline, the fading blue of the night sky reflected in the water of the lake. I played with raw image a bit, pushing the exposure to a point that enhanced this effect (but only a bit). I was surprised and impressed with the camera’s dynamic range and metering which had allowed all of this to be recorded. I like this picture. 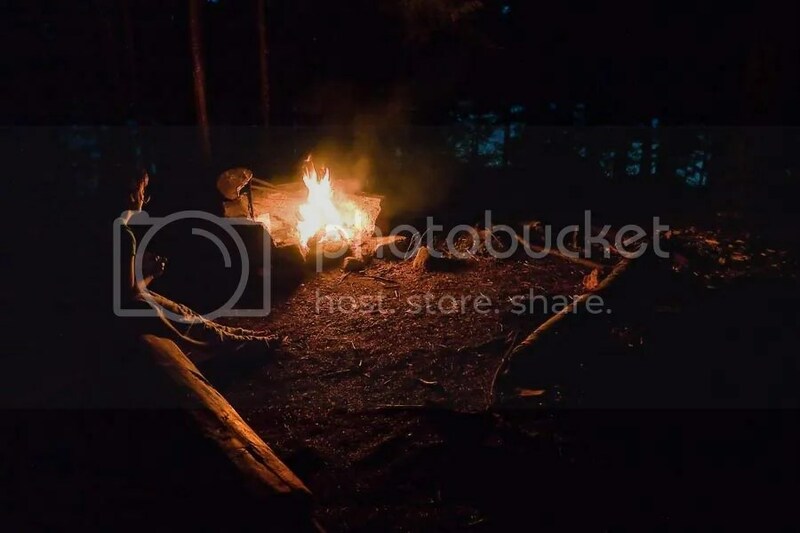 It reminds me of the numerous, and largely anonymous campfire scenes one sees for sale at souvenir shops throughout the Adirondacks. More importantly, it will always remind me of a very pleasant memory of time spent with my daughter before she embarks on a new phase of her young life. This entry was posted in Family, Photography and tagged Adirondack Photography, Adirondacks, Eastern Forests, Henry F.Smith Jr, Lake Placid, Panasonic G 1, Panasonic GH1, Panasonic Lumix LX3, Panasonic photography, Saranac Lake. Bookmark the permalink.